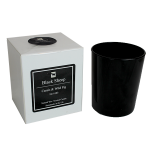 I am very excited to announce my latest project with Black Sheep Candles. Black Sheep Candles is a unique candle company who work with 100% Soy Wax for fresh, beautiful smelling candles. I have currently been working on a project for the company as the owner wanted to achieve a site where her customers could see the candles available, news, events and nearest locations to buy the candles. I choose WordPress as this is very clean, slick, professional and would be something the client could work with herself. So far I have been working with Photography for the client in order to make her candles stand out and allow customers to see exactly what they are buying. The website is on going currently and other photography. Keep checking back to see how I am getting on and for any tips or ideas, comment below!